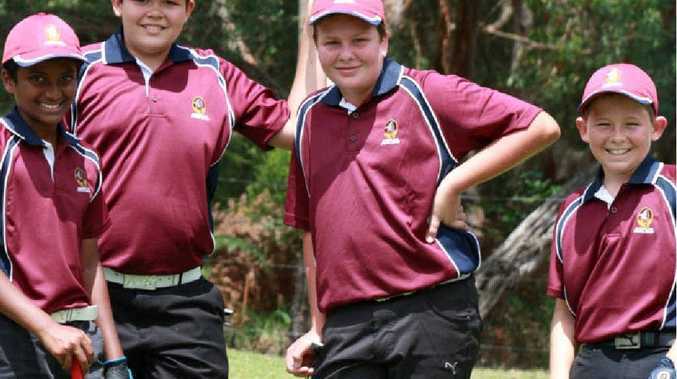 BLAIKE Perkins, 12, from Tannum Sands State High School, attended the 2015 Australian School Sport Golf Championships at Newcastle Golf Club early this month as part of the Queensland team. He had won the Gross 12 and Under Champion at the Queensland State Championships in Cairns in July. He is also a member of the Calliope Golf Club, and finished third with the third-best gross score in the two-day individual event, three shots behind the best gross score. Blaike had one bad hole on the second day, which cost him either the best gross score or a tie. Blaike's 4 Person Ambrose Team (including Swane Whiting of Bundaberg, Yevin Samararatne of Brisbane and Liam Thomson of Pine Rivers), finished in first place with a great round of 66 (six under par) on the first day in the Ambrose Team Event. The Queensland team finished overall gross third with the bronze medal on the final day.